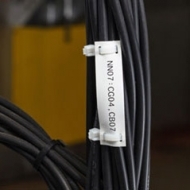 Clear, long-lasting wire labeling is critical for identification, assembly, and repair of wire harnesses, electrical control panels, and data/telecommunications systems. Investing in a quality labeling system up front saves time and money. There are several types of wire labels to choose from including heat-shrink sleeves, self-laminating labels, flags, and rigid tags. In this series of four brief videos, Peter Crichton of Brady Corporation explains the most important factors to consider while evaluating new wire label printers, systems, and label substrates to ensure you choose the best label solution for your needs. 3. Is a Printer Applicator Right for Your Business? Ready to shop for your printing solution? 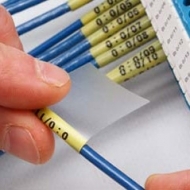 Now that you know how to identify the best wire label printing solution for your needs, it's time to browse. 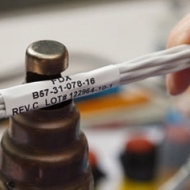 IEWC carries a wide variety of wire identification products including heat-shrink sleeves, self-laminating labels, flags, and rigid tags, as well as the printers to mark them. Contact your IEWC sales representative if you need any more information before you make your choice. Do you need to meet an industry or other specification?